In patients with three-vessel disease the use of the SYNTAX II strategy is associated with improved clinical outcomes at one year, compared to matched patients treated percutaneously in the original SYNTAX I trial. In addition, a comparison to matched coronary artery bypass grafting (CABG) patients, also from SYNTAX I, shows that the percutaneous approach following the SYNTAX II strategy is non-inferior to surgery. The results were presented yesterday in a Late Breaking Science in PCI Session by Professor Javier Escaned, Hospital Clinico San Carlos, Madrid, Spain, on behalf of the SYNTAX II investigators. The objective of SYNTAX II was to investigate if recent technical and procedural developments in percutaneous coronary intervention (PCI), incorporated to form the SYNTAX II strategy, significantly influence outcomes in appropriately-selected patients with three-vessel coronary artery disease. Building on the landmark SYNTAX I study, the new strategy required use of the SYNTAX II score to guide Heart Team decisions on myocardial revascularisation, including physiological assessment (with hybrid use of iFR and FFR), second-generation drug-eluting stents, intravascular ultrasound-guided optimisation of stent deployment, contemporary chronic total occlusion revascularisation techniques and guideline-directed medical therapy. The SYNTAX II score—which incorporates clinical and anatomical variables, and was validated in the international DELTA Registry (n=2,891)—has been shown to offer higher accuracy in risk identification than the anatomical-only SYNTAX score. “The SYNTAX I score shows enormous variability from centre to centre,” Prof. Escaned explained. “One of the main advantages of using SYNTAX II is that incorporating clinical variables with the anatomical SYNTAX I scores in a continuous manner enormously reduces the variability between the measurement of the Heart Team and, in our case… the core lab.” The SYNTAX II study enrolled 454 patients at 22 European centres. The principal investigators are Prof. Escaned and Doctor Adrian Banning; the chairman is Professor Patrick W Serruys, and the deputy chairman is Doctor Vasim Farooq. The primary endpoint is a composite of major adverse cardiac and cerebrovascular events (MACCE) at one year, compared with a PCI cohort (n=315) from the SYNTAX I trial selected on the basis of equipoise four-year mortality between CABG and PCI. The one-year results showed a statistically significant lower rate of MACCE for SYNTAX II patients (10.6%) versus SYNTAX I PCI patients (17.4%, p=0.006). The SYNTAX II strategy also yielded lower rates of myocardial infarction (1.4% vs. 4.8%, p=0.007), any repeat revascularisation (8.2% vs. 13.7%, p=0.015), and definite stent thrombosis (0.7% vs. 2.7%, p=0.045). The differences in all-cause mortality and stroke were not statistically significant. As an exploratory endpoint, the investigators performed a comparison of SYNTAX II patients with a predefined CABG cohort (n=334) from SYNTAX I. At one year, the MACCE rate for SYNTAX I CABG patients was 11.2%, compared to 10.6% in SYNTAX II patients (p=0.684, and p<0.001 for non-inferiority). 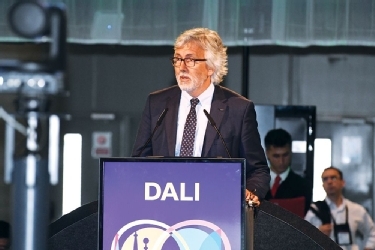 “Compared to SYNTAX I, contemporary state-of-the-art PCI in SYNTAX II led to significantly fewer lesions treated with PCI, and significantly higher success rates in chronic total occlusion (CTO) revascularisation,” Prof. Escaned told the audience. In addition, one-year outcomes of patients with SYNTAX score >22, treated with PCI using the SYNTAX score II risk stratification, were similar to those observed in patients with low anatomical risk (SYNTAX score ≤22). Prof. Escaned commented on the evolution of approaches observed across the SYNTAX studies. “From the Heart Team to the cath lab, there were two different directions in terms of initial treatment. In SYNTAX I there were more lesions treated than decided at the time of the Heart Team. In SYNTAX II, there were fewer lesions treated before physiology at the time of intervention. “Times are changing,” he concluded.